Live feed for Obama's 'Climate Speech' today at 1:55PM EDT | Watts Up With That? Due to other obligations, I won’t be able to watch, (see the live feed link below) but I hope that WUWT readers will watch (if you can stomach it) and make notes in comments below to see where it deviates from the posted plan available here. Today at 1:55 pm EST, the President will speak on his plan to reduce carbon pollution and prepare our country for the impacts of climate change. You can watch the speech live at whitehouse.gov/live. Following the remarks, Deputy Assistant to the President for Energy & Climate Change Heather Zichal will host a session of Office Hours on Twitter to answer your questions about the plan President Obama announced. Ask a question using the hashtag #WHChat, and follow the Q&A live, starting at 3:00 pm EST. I think I’ll give it a miss. I can’t afford to throw my lap top through the window. Due to a low threshold of nausea, I won’t be able to watch it, either. I’m another no-show: that man makes me want to puke. I’m not sure whether it’s the lies, the “Transforming America” agenda, or the fact he’s clueless without his teleprompter. Why doesn’t he put forward the aspiration to entirely decarbonize the economy as necessary to slow (or stop) sea level rise? Why doesn’t he call on Congress to act to implement a carbon tax with redistribution of the proceeds to the new low-carbon technologies? Why not initiate a HUD loan assistance program to put solar on 10 million roofs by 2020? Why not allocate Department of Energy funding to wind and geothermal projects? Why not a special SBA small business grants and loans program aimed at helping emerging businesses such as ours? We need stimulus in this sector. Oh well. When the people lead the government will follow, so lets get to work. Not just 1/6th of the economy, but the whole shebang. We clearly have an idiot running the asylum. Nobody reads books anymore otherwise we wouldn’t continue to make the same mistakes over and over again. Hell, legislators today don’t even read Bills before they vote on them. We should write Obama and his gang a note and tell him we hold them responsible for the consequences of these insane policies. People won’t be watching in droves. I tried (to watch); I bailed. all living things and save the planet. Of course if we were able to drop CO2 below 200-300ppm humans would stop breathing . Below that plant life would start dying – but anything for the greater good . If that doesn’t work why not declare O2 a pollutant . Don’t want to boost his ratings – I’ll come to WUWT for a synopsis after his televised shitefest. Dang! I have to wash my hair! His war on coal will be a war on any hope of a recovery. Kiss the economy goodbye. You gotta love the way he keeps whiping his forehead with a handkerchief. It’s just so globally warm in georgetown. Here come the rolling black-outs…. He does want a Metamorphosis of the State. I think that’s why there has been such a hyperbolic overreaction to this morning’s overturn of part of the Voting Rights Act. The DOJ was using misinterpretations of the Civil rights laws to take away state electoral supervision ability. Is the face-wiping scripted? He’s perspiring more than Tricky Dicky. For you that aren’t listening let me sum it up for you. He’s got his sleeves rolled up, and the hanky is out to wipe his brow. I’ve been listening for about 10 minutes–longest of my life. I swear he spoke of carbon accumulating in the atmosphere–not CO2, but carbon. I wish we wouldn’t speak about things he doesn’t understand. Makes him sound like the Goreablabber. He is proposing a lot of infrastructure projects to protect against increasingly hostile weather. They are needed to protect against increasingly idiotic coastal development–oh, sorry, he didn’t say that, my mind wandered off. There is a lot of sleight of hand. In speaking aboput wind energy, he spoke about the Germans taking the lead in clean energy, but he didn’t actually say wind. I suppose he just forgot about Germany building new coal fired power plants. What’s this nonsense about him having met with young people in Turkey, and finding them being most concerned with climate change? Recent news suggests otherwise. Can’t see the crowd, but its tepid applause from what seems like a small group of enthusiastic supporters–his mention of new EPA head suggests these are enviros and EPA types..
He’s making the case that all this green energy is going to make new jobs, new jobs, new jobs; but also mentioning that we are going to spend a lot of money protecting communities that are unsettled by this new economy. Finally he wants to eliminate tax breaks for oil companies. What can I say? New pablum same as the old pablum. Obama says Tricky started the EPA. That makes sense. With Senator Kerry, perhaps the biggest pipeline opponent, now as Sec. of State, the disapproval is all but assured. “God Bless America” and then parade music….is he beginning to wrap himself in the flag? That’s a half an hour I won’t get back. Dave please remember the /sarc tag at the end of your comments. I almost took you seriously. A dang good start. Now let’s keep moving. I kept expecting a marine to appear with an umbrella. I dub him the Liar-In-Chief. I managed to suffer through the entire 40-minutes of pablum, hand-waving, disinformation, and finally, evangelism. It was awful, and, if half of what he proposes implemented will have dire consequences. I just hope Republicans have the backbone and intestinal fortitude to hold the line against it. Same ole stuff , 2012 was warmest year on record, last week it was 90 degree in Alaska, 97% Consenus on Human caused Global warming, Climate change deniers same as Flat Earth Society members, push back on Climate change misinfomation(That one was really rich), save the children and make your voice heard at Town meeting and petition your big goverment reps that you want a green future for all those to come.Massive amounts of Liberal feel good BS. He (we) can control the climate and stop the seas from rising? I find that very difficult to believe. Why not use our abundant resources to increase average wealth? 76% of the US lives from paycheck to paycheck, no cash reserves. Over 23,000,000 unemloyed or underemployed and our dear leader wants to increase the cost of energy by making the inexpensive forms less available in favor of more expensive, less dependable forms. We want to increase the use of food production for less efficient energy needs. How hot was it there anyway, must have been in the 100’s the way he was acting. I’m with the President on this. We’ve got to do something about the climate. It’s spinning out of control! Yesterday we had this huge downpour and I got drenched! Came right out of nowhere. I mean, what the heck is that?! Look, I’ve see Koyanisqaatsi, I’m no fool. They looked at some tree rings and found the evidence. And we’re already seeing the results of climate change in countries like India and Nova Scotia. Plus, green stuff will be an enormous boon to the economy, with green jobs by the million being created all the time if we just fund it. Eve, not cool. You can do better than that. He admitted in his speech that the planet would continue to warm and seas would continue to rise. He’s really tempering expectations. The speech was full of platitudes and simply wrong statements–yet it was dull and could not get me very riled-up. He did speak about conservation measures, but when he was done I had the feeling we would spend a lot more money than we would get back from the conservation because it’s gonna’ involve a lot of spending. I give the speech, overall, a C- in all regards. No more to say on this. How hot was it there anyway, must have been in the 100′s the way he was acting. You can take this from an expert. But, have no fear, the ship is in the best of hands. Let’s all just hope and change. Lead from behind, with no rudder. 93 degrees in Washington now; much more effective than announcing this in the winter! I watched and heard most of it and unlike many I find Obama very affable even though I want to strangle him when he comes of with this rhetorical crap. Are we at a pivotal point with temperatures currently stagnant and even falling slightly -interesting coolness eighty degrees north at the moment So how long can this plateau last for and when changes whether it sup or down that will be the clincher in my view. Wow, 93º in D.C. in the summer how unusual!! Watched one minute, then my blood pressure started rising on the CO2 traps heat comments and turned it off before I started cursing. The real question: Obama is a shill – but for whom and what is the end game? I am not American and I really don’t understand what the heck in going on. How can a broke nation invest in anything? Unless the bond holders are giving direction ???? Isn’t that what the book “Confessions of an Economic Hit Man” was about? I think I am confused. So you blokes need more windmills and solar cells to help mitigate the affects of carbon tax? Enjoy great depression Mk2 boys and girls, and don’t forget to thank the watermelons who brought it on. On the issue of climate, it looks to me like Obama and democrats (and some Republicans) are being influenced by foreign lobbyists (and probably NGOs funded by Rockefeller and other think tanks that want to control the world) to pass laws to preserve natural resources for the rest of the world (their nations) to use to develop as well as find ways to get a chunk of our illegally obtained wealth (that we stole via colonialism and capitalism) back to their nations. In short, what I see is, global warming is really global equalization. Science is being used to drive policy that will result in wealth transfer and resource reallocation. Since there is a carbon component in almost everything we do, controlling carbon means (I think Lindzen said this) control of virtually all aspects of our life. And since it is democrats who are the control freaks, this new world order will be under leftist Rockefeller corporate control. The paranoid voyeuristic control freaks at the NSA and IRS will be keeping us in line. ObamaClimate . . . Because Bill Clinton failed to get Kyoto ratified. Oh you know, Eve was only speaking figuratively, just like warmers do when they say diners should be killed. Climate wars, anyone? It is like two sides pulling tug of war rope over precipice, one side is bound to plunge to its ignominious and humiliating downfall. Nature will decide. I can’t post my opinion of Obama – and his agenda – without getting banned for life or incurring the wrath of the NSA. Let’s just say I would be pleased if he was disappeared. Whose job was it to bring the sand? I decided to look at a statistic nobody has really talked about (at least, not in the press), and that is comparing a country’s share of global GDP to its share of global CO2 emissions. I also looked at economic output per ton of CO2 (basically, GDP/total CO2 emitted). Lastly, I looked at the very commonly cited per capita GDP (typically considered the best measure of standard of living and wealth of a country). Of the world’s 12 largest economies (U.S., China, Japan, Germany, France, Brazil, U.K., Italy, India, Russia, Canada, and Australia), two countries (Australia and Canada) best the U.S.’s $47K per capita GDP while eight (France, Brazil, Italy, Japan, U.K., Germany, Australia, and Canada) best the U.S. on dollars per ton of CO2. There are nine countries (the same eight plus the U.S.) who are accountable for a larger share of global GDP than global share of CO2 (i.e. share of GDP minus share of CO2 is positive), with only one country (Japan) besting the U.S. I would argue that the U.S. is among the top in the world with balancing a wealthy economy with “being green”. Lastly, in terms of CO2 emitted per capita, only Australia beats the U.S. So having said all that, Canada is the only country who beats the U.S. on per capita GDP while having lower CO2 emissions per capita. If you want to really reduce global CO2 emissions, look to China, India, and Russia. Long story short, only Canada has a better balance of being green and being wealthy than the U.S. (Australia and Japan are comparable). The speechwriter, repeating crusty old eco-zingers. Very high school. Who would read this without great embarrassment? Can’t any of the speechwriters think up any new material? Maybe a new metaphor? Nope. What coming storm is he talking about? Is this prophecy now? Brilliant. The warmistas are absorbing the skeptic territory as their own. Not only do they keep the money flowing, they stake out turf as if “they” were “the right ones” all along. As it is, their discourse of late been to smear the “skeptics” with the mantle of denying any “climate change” at all. I’ve lived in the Chicago suburbs my whole life (50+ years). Chicago’s corrupt politics has seated itself in our White House. The MSM love affair is waning, although its virtue may be lost forever. That is the alarmists favorite line. The ironic thing is most great discoveries and inventions were not by a group of “intelligentsia” arriving at a consensus. They are almost without exception by individuals with vision. Charles Darwin, Galileo Galilei, Einstein, Newton, Madame Currie, Graham Bell, Thomas Edison, etc. During the flat-earth times, a consensus of people were convinced, like the global-warming crowd of today, that the earth was indeed flat. It took a few independent minded people to actually discover the real truth. Power grab. No one burned down the Riechstag so he’s pretending the planet is burning … or changing … or, well, something! Only he, using authority The Constitution doesn’t grant him, can stop it. Yeah, I agree, it is a waste of time. Probably why he is going straight for the “Green Cheese Moon Society”. He will then be the head cheese in the Green “Luna C” movement. Good for a easy cheap laugh. A study in what nut job thing not to do when your in a hole like this fool is. But dig, dig, dig, deeper and deeper. By the way, this interview was in March of 1997. Osama bin Laden says that he has already declared war on us. The Terrorist’s War on us is Bubba Clinton’s War. Federal management of resources = good. Free market decisions made by billions of consumers = bad. Yea, but it is the time of flat temperatures. How false what he says does not matter. The redistribution of wealth is the whole of it. Its a con, he is a front man grifter and we are the marks. On Ben Loud One, he had an older brother he loved more than any thing, the family were in the U.S. and friends of the Bush family “oil people” talked the older brother into getting a ultra lite and to learn to fly it. He hit a 340,000 volt electric transmission line near Austin Texas, ( Near Lake Travis) and it killed the brother. Ben Loud One blames our oil rich for that as well as our use of electricity and other high tech. Ben Loud One very into the Koran and all that from a young age, thus he had a firm hold on words that put him in a position to not understand cause and effect. I wonder how we got a president who is so science challenged that he does not know the difference between carbon and carbon-dioxide. Maybe we need to have all the degrees given to all students by the 3 colleges he attended verified as to being legitimate. Bush was an idiot…. but at least everyone knew it… the problem with this guy is that he is an idiot but many think he is the real article !? Still… we have Cameron, and if he looses next time we get David Milliband’s reflection on the back of a spoon as P.M.
mkelly pointed out that DF is missing a sarcasm tag. I clicked on DF’s name into his website, best described as a howto for brainwashing children. Needs to be a little more over-the-top to be considered good satire. Bush knew it himself, and never pretended different. We’ve got a whole different psyche now, and everyone is being called in to prop-up the illusion. Live feed for Obama’s ‘Climate Speech’ today? No thanks. Tell me when they are covering his funeral. That I will be glad to watch. Listening to the BBC enthusing about it. Yeuch. Was there anything in there that hasn’t long been debunked? The reality is there is no reality. Seriously, this is getting serious. I guess funny isn’t so funny either. I am assigned to do a “fact check” report on the President’s Climate Change Actions. I am in search of video reponses from experts. Anyone seen any? Thanks for any help. Anthony, Was your other obligation preserving your sanity? One ton of CO2 will produce enough food to feed how many starving African children? And your president wants to restrict the production of it. All the “Prez” has left is fraud. Oh, sorry, nearly everything to have left his lips has been dishonest. Surely the most scandal embalmed Prez ever?? The incomes and prestige of so many Nobodies depends on this type of speech. Disgusting. Put up a link to whatever you want to “fact check”, I’m sure you’ll get lots of help. In fact, make it a post. (thanks for the Chicago forecasts back in the day). You want video ?, same advice. 1) The developing world has demanded $100 billion dollars per year (growing if by a miracle the GDP of Western countries grows) as the impact on Western countries to reduce CO2 emissions by say 50% will be to be wartime like rationing and Spanish like unemployment levels. As the countries that have emitted the most CO2 should pay based on their historical CO2 emissions the US and Britain will have large commitments than other countries. A UN committee controlled by the 134 countries will distribute the $100 billion/year. 2) There has been no warming for 16 years. There has been no warming in the tropical troposphere. Planetary clouds in the tropics increases or decreases to resist warming. Based on these facts the warming due to a doubling of CO2 will be less than 1C. (Estimated warming to be around 0.3C to 0.5C based on so called ‘skeptics’ analysis that has been completed ignored.) The IPCC analysis is directed and funded by the 134 country UNFCCC. The UNFCCC and IPCC is perhaps biased as they are also requesting $100 billion per year. There is an obvious conflict of interest. As up to 2C warming is considered to not only to be safe but to be beneficial, as most of the warming has occurred at higher latitudes there is no global warming problem. 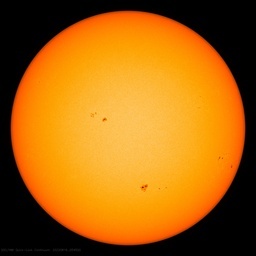 3) More than half of the warming in the last 70 years was due to the most solar magnetic active sun in the 8000 years. The solar magnetic cycle has abruptly slowed down. Based on what has happened before and item 2, the planet will cool roughly 0.45C over the next 3 to 5 years. There will not only be no global warming problem there will be global cooling problem. Hearing things like that make me think that any leader that agrees to climate alarmism and implements green strategies is actually working against their own countries interests. What possible benefit could the US gain by borrowing money from China and giving it away to the third world? How does that help the US or even the other country for that matter when you demand they not use coal and not industrialize? And does it actually decrease CO2 emissions? Its well-known that countries that do not industrialize do not care about their environment and likewise pollute even more. Maybe not as much CO2, but other pollutants and so from an environmental stand-point this policy decision actually increases overall pollution. But perhaps they only care about CO2 now? If that is the case, than why did the all ignore the simple fact that its now proven that wind power INCREASES CO2 emissions? And how greens just ignore that and continue to support wind power. So obviously unless they are just simply brain-dead, they are actually promoting an increase in CO2 emissions from humans and an increase in overall pollution by forcing industrialization outside of any country stupid enough to put carbon taxes into place and that will have the higher cost pollution scrubbers. That makes their industry un-competitive with the rest of the world AND forces its costs up through bizarre tax schemes. Why do they bother with policies that do not work unless they really DO NOT care about the environment and could care less that the world is a worse place for their efforts? This leads to Obama’s speech and how he does appear to be wanting to make the world and the US a worse place. Either that or he is delusional and living in some fantasy world as a few people mentioned or he is terminally brain-dead. Whatever the case, I think it could be argued that he is actually attempting to make the US a worse place with his policies and he could care less. Not to mention the obvious name-calling and calling people who disagree with him “flat-earthers.” I have news for Obama, if you want to be technically correct, YOU Obama are the believer in the fictional flat-earth along with your “green” friends. Since I am used to being called a denier and have been told we should all be tied to the stake, I am surprised by the snip. But then, since the US government is monitoring sites for deniers and other terrorists, it is probably best. I will never again watch Obama speak as I am still not over the nausea of watching him. I am sorry for the 100,000 and more who die each year from cold in the US and in the UK because of people like Obama. I don’t know Canada’s total or Europe’s. I am sorry for the millions who are hungry because of people like Obama. But I am happy that I am not a US citizen and that I have a warm place to live each fall, winter and spring where I use very little electricity and no heating fuel. I am not sure who Obama was pandering to as the majority of US citizens do not believe in global warming/climate change. I presume Obama knows. Yobama will blame it on Bush and the capitalist suppressors of the masses and the enemies of dialectic materialism and the 1% and the Kochs and the Republicans and the Deniers. His supporters are stupid or insane enough believe all that. CO2 regulation (control) has long been the tool the UN wants for implantation of Agenda 21. Control energy, control the populous. Simple really. Obama on the other hand, just wants more money to spend. Headline news here in Australia. 32c heat, in summer? Lots of images of steam rising from cooling towers. Your analysis is interesting, I hadn’t seen that idea before, that is that the US is “green” because it has higher GDP per ton of CO2 that any country except Canada. Hate to say it, though, that sort of argument is occurring on the Lefty/Greeny turf because it is based on the idea that CO2 emissions are bad and that the less CO2 emitted the better. The Lefties will simply ignore your argument and, if they cannot ignore it, they will change the ground rules. That is how they operate on any and all subjects. It’s not about CO2 with them, it’s about power. It may be fun to post snide remarks about Bush’s intelligence but he did know enough to call more more studies on the underlying cause of the observed global warming from 1980 to 1996. This is a great blog with many highly intelligent posters but too much effort is being expended on the highly technical issues and essentially zero on the real issue, namely carbon dioxide is not the root cause of global warming. It is fairly clear to me that natural cycles are driving the variations in the earth’s temperature. Some of the brain power needs to directed to education, including the fact that the earth is not yet back up the standard temperature used in all engineering schools – 60F or 15C. Obama needs to be taught this fundamental principle ASAP. The public needs to be taught as well. Until this fact becomes universal, folks like Obama will continue saying 10 out of the hottest recorded temperature occurred in the last 15 years. That may be partially true but it matters not, there no corrective actions that can be taken about natural cycles. The Deniers need a manager in charge of global warming. Technical work is more fun but management gets things done. The good side to him finally declaring his full support to global warming is that this will be his inescapable legacy. Nature should write the final chapter of that legacy in a way that everyone will be able to understand. The steady sucking sound in the background was quite unmistakable. That’s our hard earned dollars being siphoned off and into the pockets of BO’s greenie friends. The scale of this scam is truly frightening but the willingness of the masses to go along with it is a terrible nightmare. He will learn patience, Yoda. Obama increasingly begins to look like a monkey that has learned some tricks. I could not bring myself to watch as I don’t have any stomach for this sort of thing. This issue of “carbon pollution” got me to thinking: why put it this way.? Two sylables instead of 5? Car-bon-Di-Ox-ide. “carbon dioxide” (2 times, both in paragraph 8 (of 94). 15. So the question is not whether we need to act. The overwhelming judgment of science — of chemistry and physics and millions of measurements — has put all that to rest. Ninety-seven percent of scientists, including, by the way, some who originally disputed the data, have now put that to rest. They’ve acknowledged the planet is warming and human activity is contributing to it. Well the biggie is “Ninety-seven percent of scientists“. Not climate scientists, not scientiests who express an opinion, not 97% of papers that express an opinion. There is no data to support whatever 97% of the entire population of “scientists” believe. I would wager, “put that to rest” is a concept that 97% of scientists are more likely to disagree with in a matter of science. “planet is warming” — at least has warmed, but the last 15 years are more in doubt. But by how much? It has warmed before and cooled before. “human activity is contributing” — again, by how much? Strawman. As a work in progress, I started numbering the paragraphs and clauses to winnow out the checkable statements. 8. And what they’ve found, year after year, is that the levels of carbon pollution in our atmosphere have increased dramatically. 11. ….The fact that sea level …, in New York Harbor, are now a foot higher than a century ago — that didn’t cause Hurricane Sandy,…. 12a. Here at home, 2012 was the warmest year in our history. 12c. and then drenched by the wettest spring on record. 12d. Western wildfires scorched an area larger than the state of Maryland. 12e. Just last week, a heat wave in Alaska shot temperatures into the 90s. 14b. and the higher food prices get passed on to you, the American consumer. 14d. and then, families at the bottom of the mountains wonder what it will mean for their drinking water. 14e. Americans across the country are already paying the price of inaction in insurance premiums, state and local taxes, and the costs of rebuilding and disaster relief. President Numpty only wants print and cable news to shift form DOJ, IRS, NSA, False accusations of the press and the Benghazi fiasco. Also in world events, there is traitor/leaker Snowden, Putin and China giving him the metaphorical finger to his face. he probably thinks they are “Deniers” as well as they “deny” him respect. Since I tend to respect those that deserve it, I guess I am proudly a “denier” as well. Here in Australia, the pantomime of politics continues. PM Gillard has just been ousted by the ALP membership in favour of Kevin Rudd to lead the ALP in the general election in a few months. It appears one of the factors in her downfall was the implementation of the Carbon Tax. So Patrick, when are you going to repeal that stupid tax? I suppose that William Stoughton and Thomas Newton gave convincing speeches in their day. But that doesn’t change the fact that they were some of the officials involved in the Salam Witch Trials of 1692-93. The episode is one of the most notorious cases of mass hysteria, and has been used in political rhetoric and popular literature as a vivid cautionary tale about the dangers of isolationism, religious extremism, false accusations and lapses in due process. I bring this up because there are elements of “witch trials” in President Obama’s speech of 6/25. 12a. The potential impacts go beyond rising sea levels. 12b. Here at home, 2012 was the warmest year in our history. 12d. and then drenched by the wettest spring on record. 12e. Western wildfires scorched an area larger than the state of Maryland. 12f. Just last week, a heat wave in Alaska shot temperatures into the 90s. 12c: Even if true, the Dust Bowl years could not have been caused by “carbon pollution” So today’s droughts are caused by carbon pollution (witch) but not 1930’s? 12d: Same farmers? Don’t think so. Really, “on record”? by how much? And what “carbon pollution” model predicted record wet springs? Another cry of “Witch!”? 12e: the wildfires of 1988 were far bigger. Is it “carbon pollution” (witch) or is it mismanagement of the forests? Are unsatisfactory observations being blamed on the curse of an invisible gaseous witch? Depends on the outcome of the election. Tony Abbott is the leader of the opposition and has stated, if he wins, he will repeal the carbon tax (CT). He’s a politician, so I won’t hold my breath. The Australian CT is the highest in the world at a current cost of AU$23/tonne CO2. all living things and save the planet. Of course if we were able to drop CO2 below 200-300ppm humans would stop breathing …. …Having a normal level of CO2 in the lungs and arterial blood (40 mm Hg or about 5.3% at sea level) is imperative for normal health. Do modern people have normal CO2 levels? ? When reading the table below note that levels of CO2 in the lungs are inversely proportional to minute ventilation rates, in other words, the more air one breaths the lower the level of alveolar CO2…. Note that advanced stages of asthma can lead to lung destruction, ventilation-perfusion mismatch, and arterial hypercapnia causing further reduction in body oxygen levels. Hypocapnia (CO2 deficiency) in the lungs and, in most cases, arterial blood is a normal finding for chronic diseases due to prevalence of chronic hyperventilation among the sick. Furthermore, as we discovered before, over 90% of modern people (so called “normal subjects”) are also hyperventilators (see the link below to the Hyperventilation Table with over 20 medical research studies related to normal subjects). Hence, chronic hypocapnia is very common for modern man. When chronically hyperventilating, should I experience all these bad effects? The above CO2 deficiency effects take place in all people. However, the degree of these problems and the symptoms (what is felt) are individual. ….Yugoslavian doctors from Zagreb asked 90 asthmatics to do voluntary overbreathing (Mojsoski & Pavicic, 1990). All patients (100%) experienced symptoms of asthma attacks (chest tightness, wheezing, feeling of suffocation and lack of air). In 1997, the American Journal of Cardiology published results of a similar study with the title, Hyperventilation as a specific test for diagnosis of coronary artery spasm (Nakao et. al, 1997). Over 200 heart disease patients were asked to hyperventilate, and as you probably guessed, all of them had coronary artery spasms (or symptoms of impending heart attacks). Overbreathing or hyperventilating means you are not getting enough CO2. The ‘cure’ given to my Mom was to breath into a paper bag and rebreath an air mix much richer in CO2. At that point the hyperventilating would stop. Many medical textbooks suggest defining hyperventilation based on arterial hypocapnia. The most common example of this is: Hyperventilation is a physiological state when the partial pressure of arterial CO2 is less than 35 mm Hg.